The Denny Lascelles Wool Warehouse was the first building in Victorian planned to facilitate storage, inspection and marketing of wool in one operation, and upon completion was the second largest store in the colony. The warehouse regularly fenestrated and lit by addition roof skylights, was a model for later woolstores built throughout Australia and in London. CJ Denny's was large responsible for establishment and development of the wool marketing industry in Geelong and is a figure of significance in the history of settlement in Geelong. 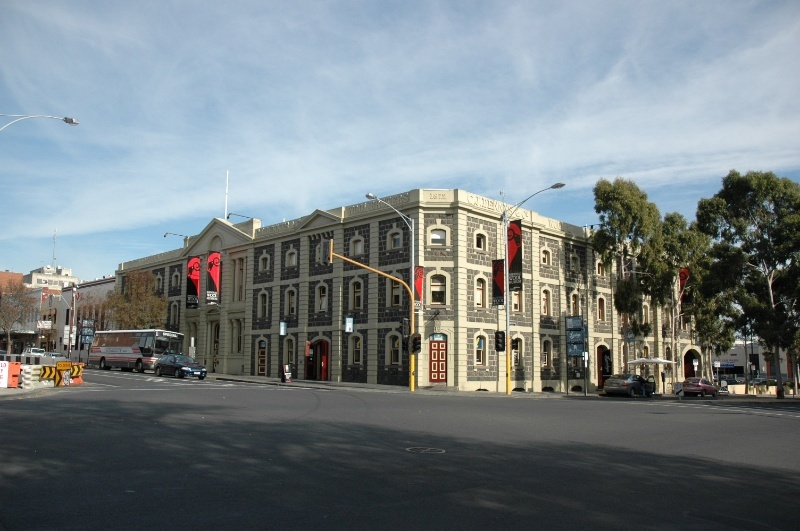 The woolstore, a basalt structure with cement rendered ornamentation, was erected for CJ Denny's and Co, in 1872 to the design of Jacob Pitman, Architect. Selenitsch, Alexander - "Geelong Wool Stores". History of Australian Architecture, thesis, Department of Architecture, University of Melbourne, 1967 - includes detailed history, photographs, measured drawings, original plans and extensive bibliography. Illustrated Australian News - 10th September, 1872 - illustration of CJ Denny's and Co, Woolstore, p 201. News of the Week, Geelong - 28th November, 1907, p. 3 illustration. Vidler, E.A - The Book of Geelong; Its People, Places, Industries and Amusements, H Franks, Geelong 1897, p15 including the illustrations. Geelong Advertiser - 1st August, 1871, tender for excavations, 7th September, 1871, tender for building, 15th September, 1871, results of tendering 18th July, 1872, description of building, 23rd August, 1880, tender for a new warehouse, 22nd October, 1880, tender for new warehouse. Strachan, Frank - Australia Dictionary of Biography, 6 Volumes. Pike, Douglas (Ed), Melbourne University Press, 1972, Volume 4, p 54. Biography of Charles John Dennys (1818-1898). Allom, Lovell, Sanderson - 'Dennys Lascelles Woolstores', A Conservation Analysis' Geelong Regional Commission, 1986.